NORWALK, CT – May 1, 2018- The SeniorCare Investor will host an important webinar — The 40-Year Old SNF: Part II — on Thursday, May 10, 2018, at 1:00 PM ET. A recording of the webinar will also be made available following its live presentation. The webinar is part of the Interactive Webinar Series. In 2016, we held our first webinar specifically talking about the old of the old skilled nursing facilities. There has been a definite shift away from the old SNFs, with new “transitional” care properties being built that are not certified for Medicaid and have very short lengths of stay, something not really done 10 years ago. But providers and investors are still buying these older skilled nursing facilities, even as most people had written them off as well past their useful lives. But are they? Steve Monroe, Editor of The SeniorCare Investor and moderator of the panel, will pose relevant topics such as: How the values between older and newer SNFs have been diverging; Who is buying the older properties and why; What it costs to renovate a 40-year old SNF; Whether you can really change the census mix of these old buildings; and Is there an alternative use for these properties. Our panel of experts will include Chad Buchanan, Chief Investment Officer at Trkyo Partners; Isaac Dole, Founder and Managing Partner at Birchwood Health Care Properties; and Alan Plush, Chief Executive Officer at HealthTrust, LLC. If you are interested in this topic, then don’t miss the live webinar on May 10th, at 1:00 pm ET. If you are unable to attend the live webinar, a recording with be available the following day. Please visit https://products.levinassociates.com/downloads/1805-webinar/ or call 203-846-6800 for more information about this interactive webinar. 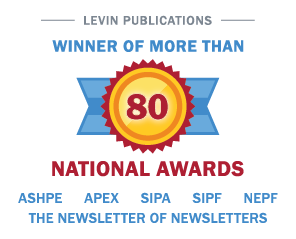 Irving Levin Associates is celebrating 70 years of delivering exclusive M&A intelligence to its sophisticated audience of seniors housing and healthcare investors. 2017 marked the third year in a row that the firm was recognized by Inc. 5000 as one of the fastest growing media companies in the country.